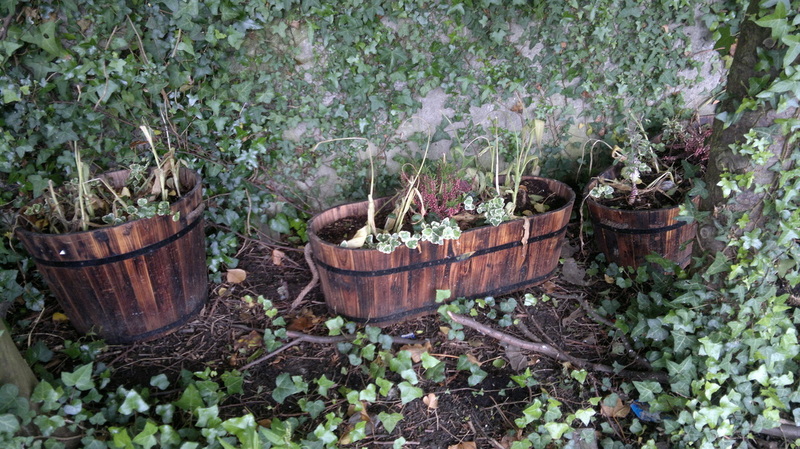 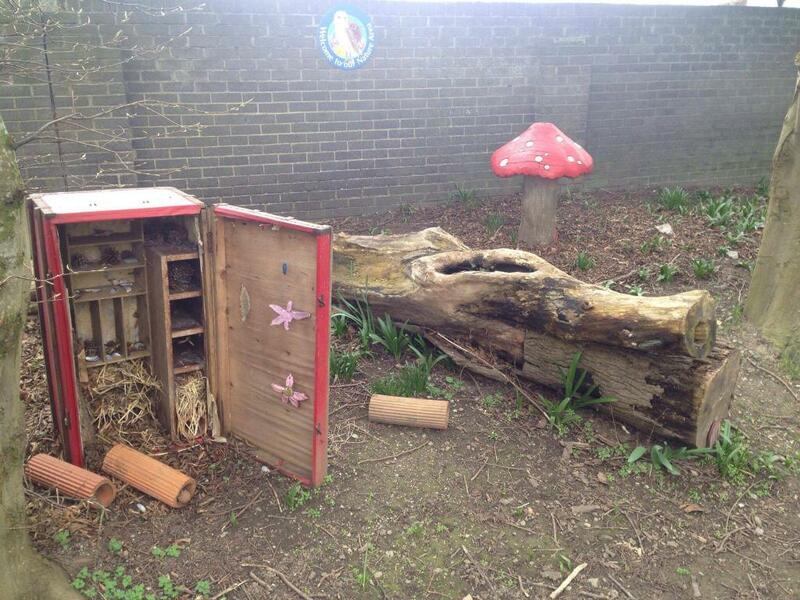 check out our insect hotel! 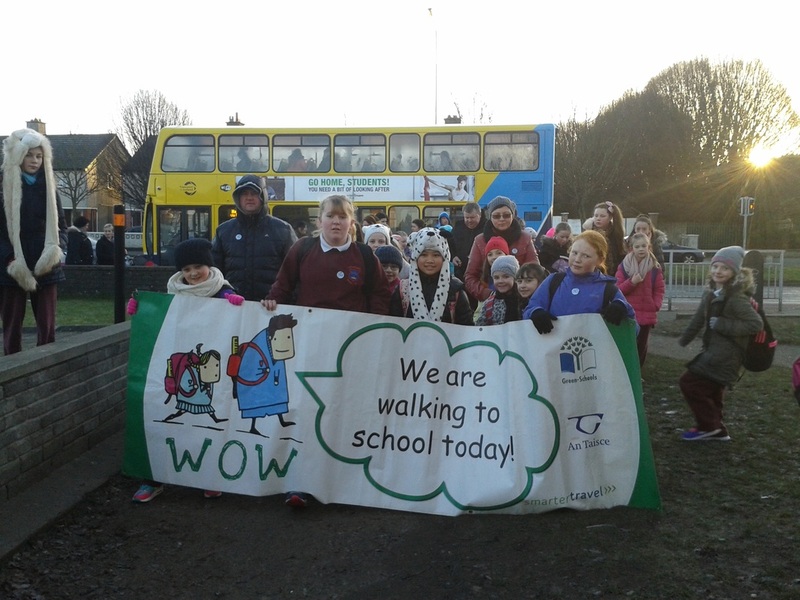 On Wednesday, February 4th, 2015 over 60% of Our Lady of Victories School Community walked together from Ballymun Old Shopping Centre to Our Lady of Victories Girls School for our Green Schools Action Day for Travel. 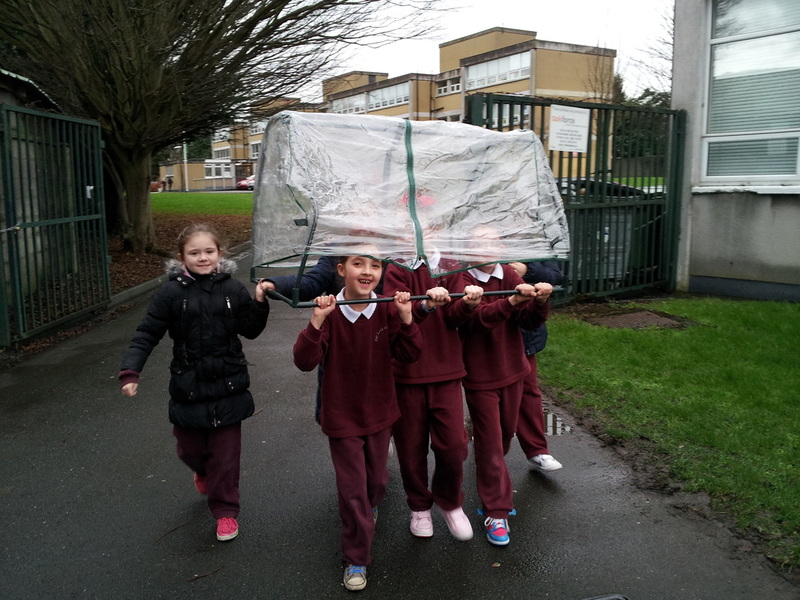 Despite the icy cold, it was a pleasant sunny morning and we enjoyed the 15 minute walk once we got moving. 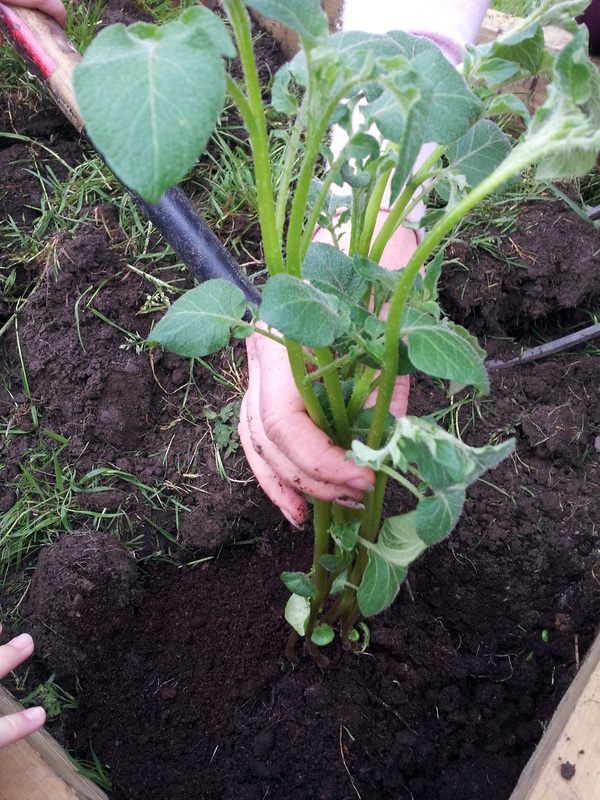 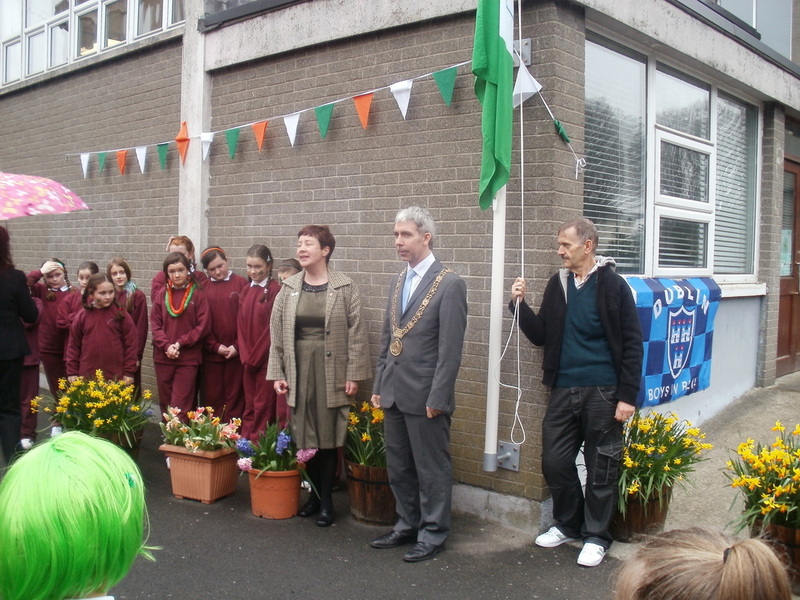 It was an amazing sight as our pupils, parents and teachers stretched all the way down Ballymun Road. 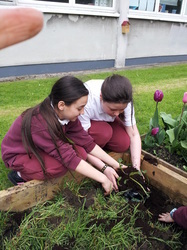 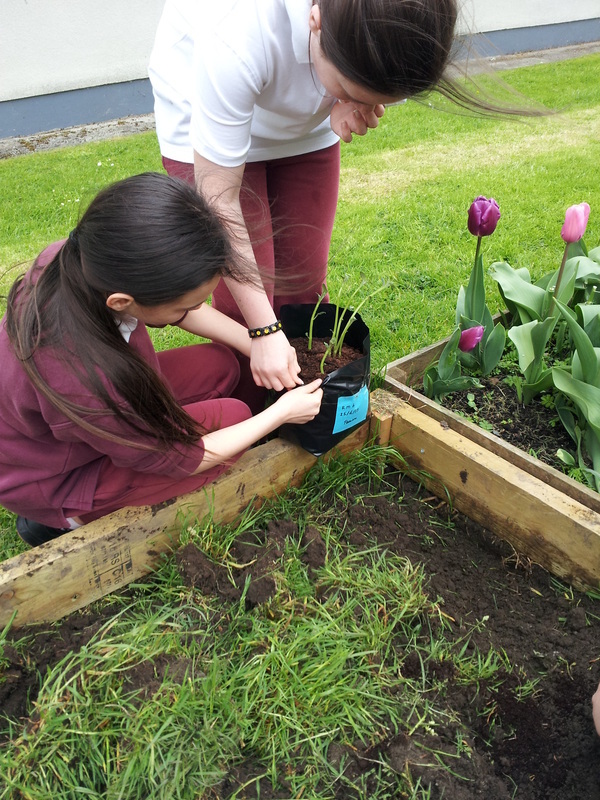 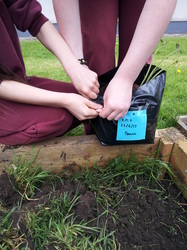 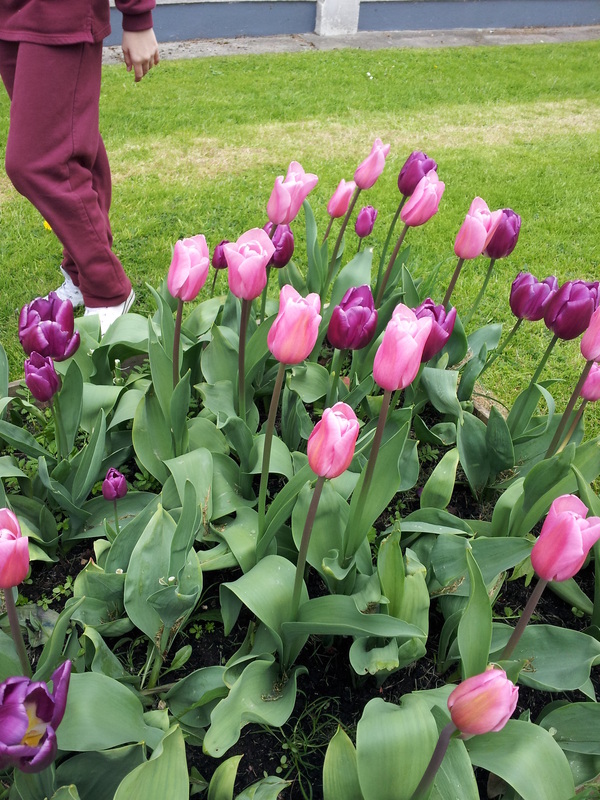 Thank you all for participating, and thank you to Áine from An Taisce and Ms Bourke for sharing their lovely photos of the event which you may view here and on the LATEST NEWS page. 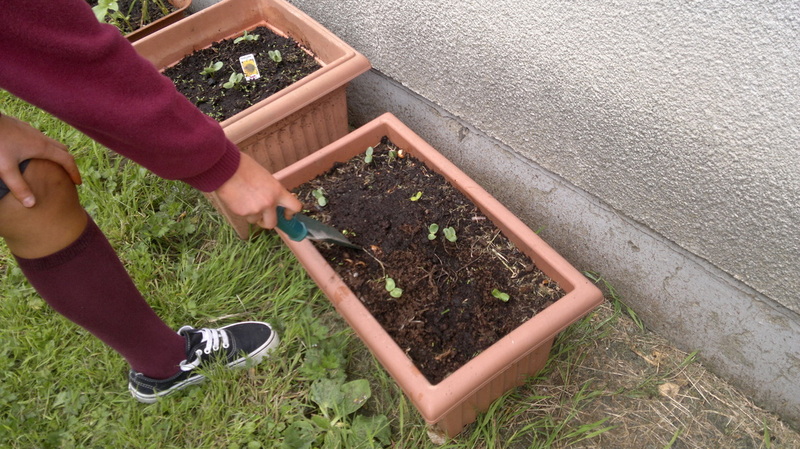 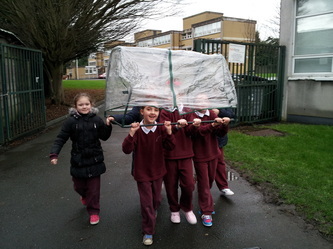 Our pupils put their basic engineering skills into practice on the walk. 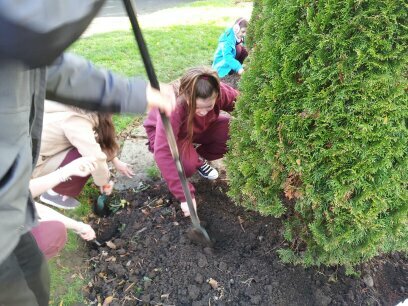 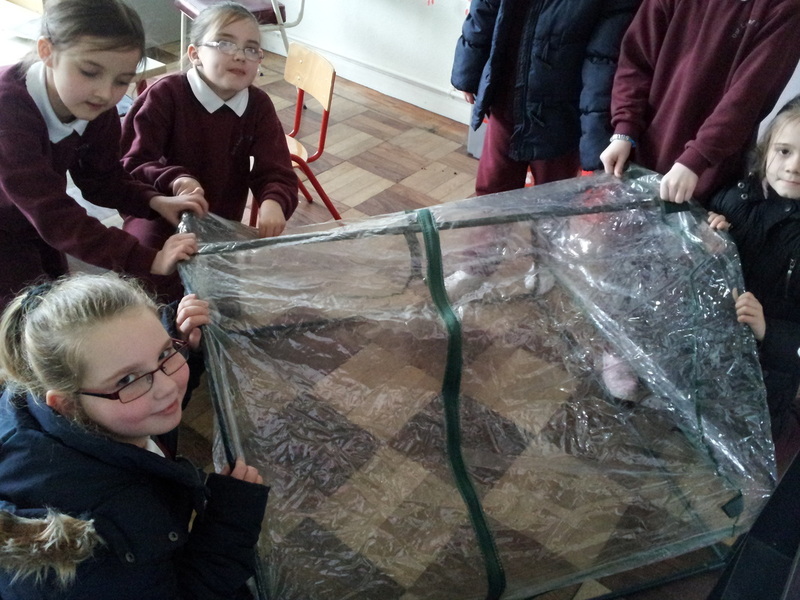 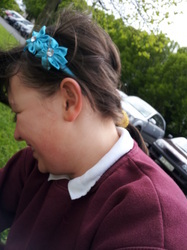 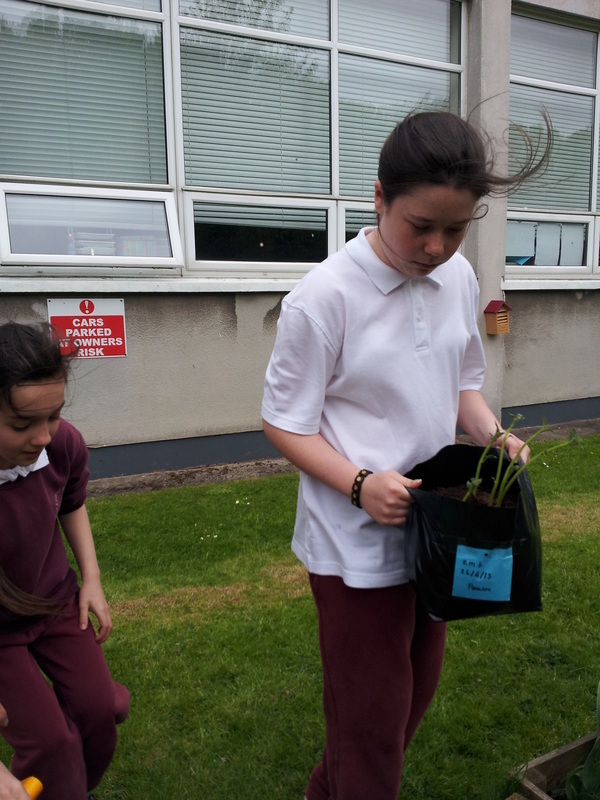 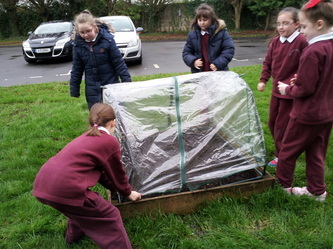 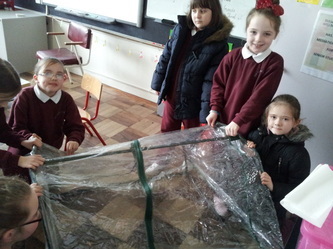 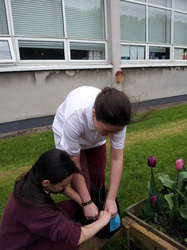 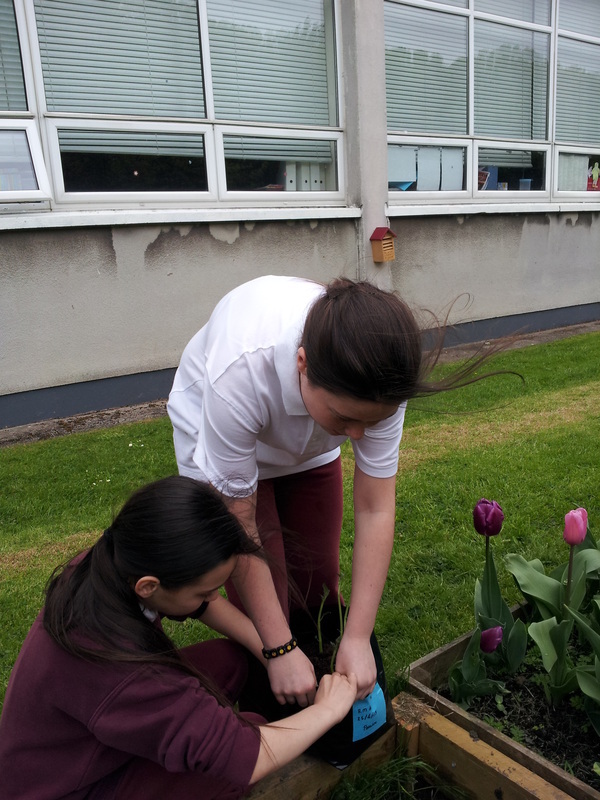 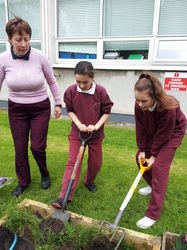 Some of our sixth class girls measured the distance from the Shopping Centre to the school using a trundle wheel, while others accompanied Áine from An Taisce and measured the footsteps all the way to the school using a pedometer. 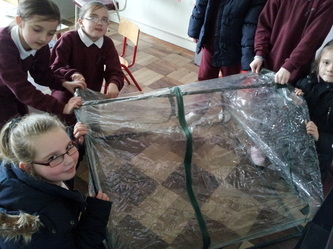 We will have fun comparing the results during Engineering week. 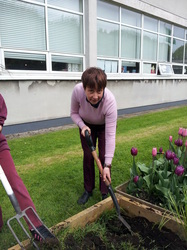 On arrival at the school the walkers were treated to a lively session of fitness dance in the Parent Room, with our resident expert Ms. Haughton, which certainly warmed everybody up after the freezing temperatures outside. 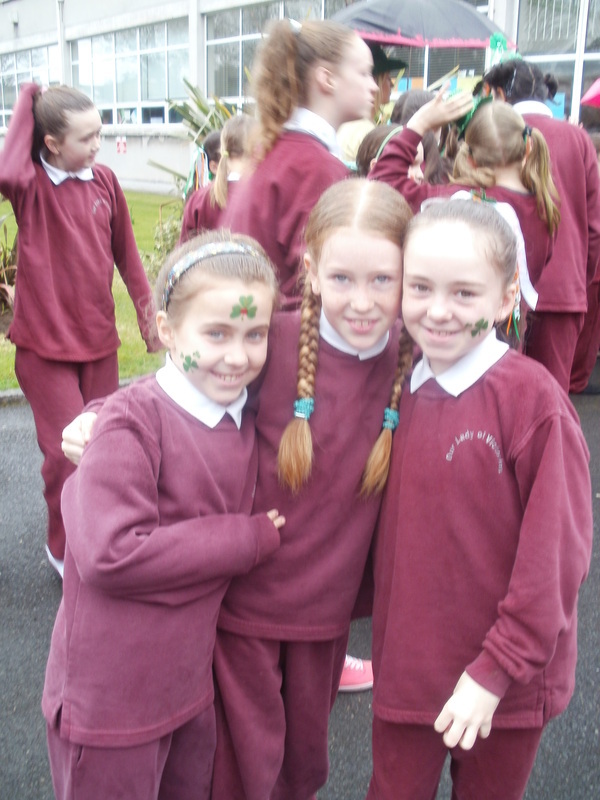 After the dancing the whole school went out to the yard where they gave us another interesting display of practical Maths. 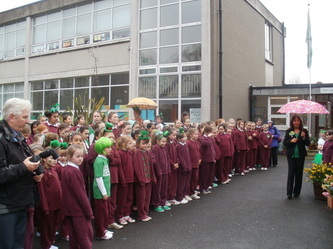 The pupils formed into a human Bar Graph according to the modes of transport they used to get to school. 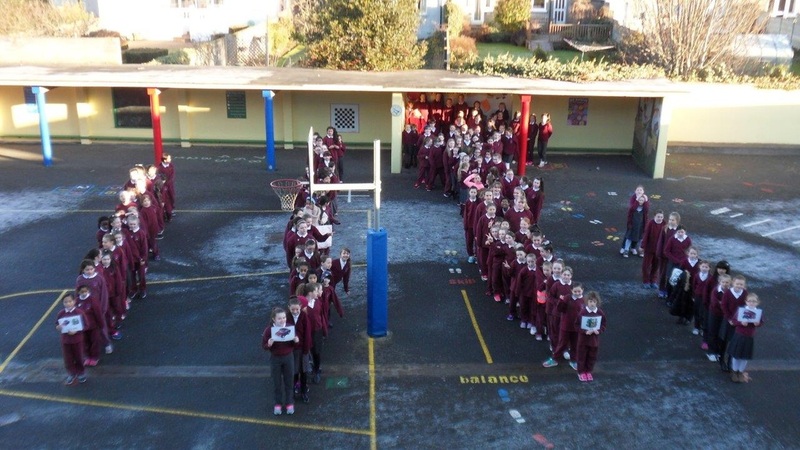 As you can see from Áine's semi-ariel photograph, so many pupils had walked that they could not all fit in a straight line down the yard. The other categories were Park and Stride, Bus and a small number by car. 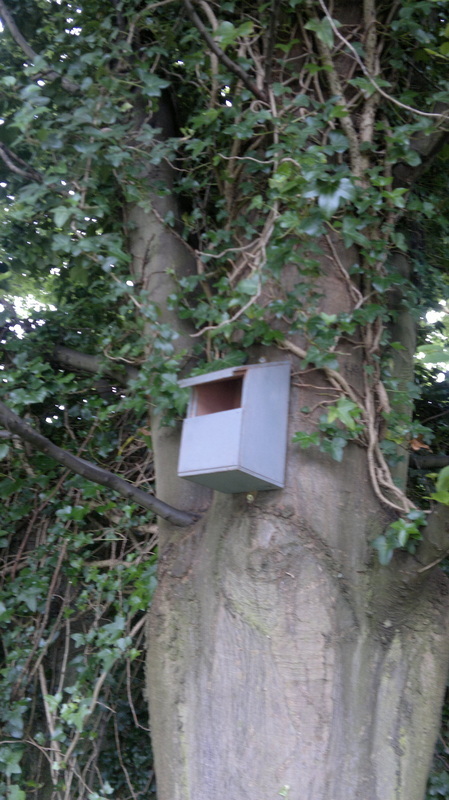 These findings reverse the trend of the last printed survey which showed a majority travelling by car. Many of the walkers are crowded into the shed at the back. 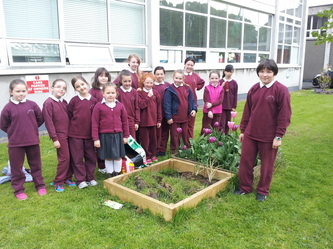 Finally the pupils were rewarded by healthy treats of fruit and juices kindly sponsored by Super Valu. Many thanks to all the school families and staff who participated in this great Action Day. We encourage our pupils to walk to school as often as possible for the benefit of their health, to save their parents money and to help the environment. W try at least to walk every Wednesday and we will have another big community walk later in the year. 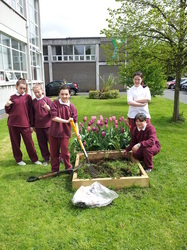 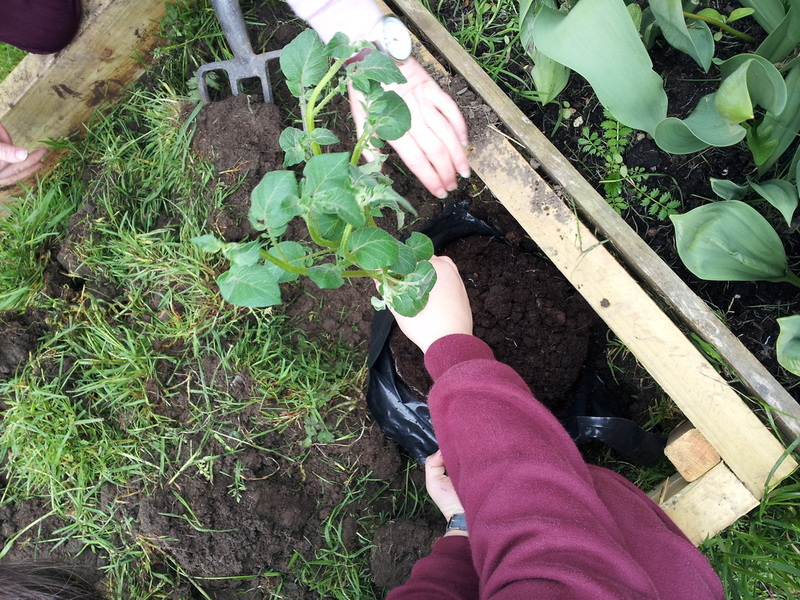 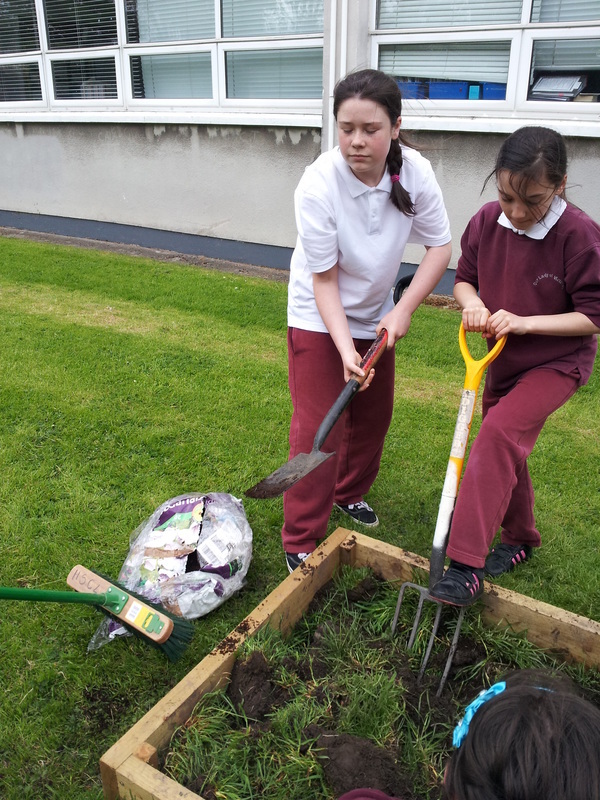 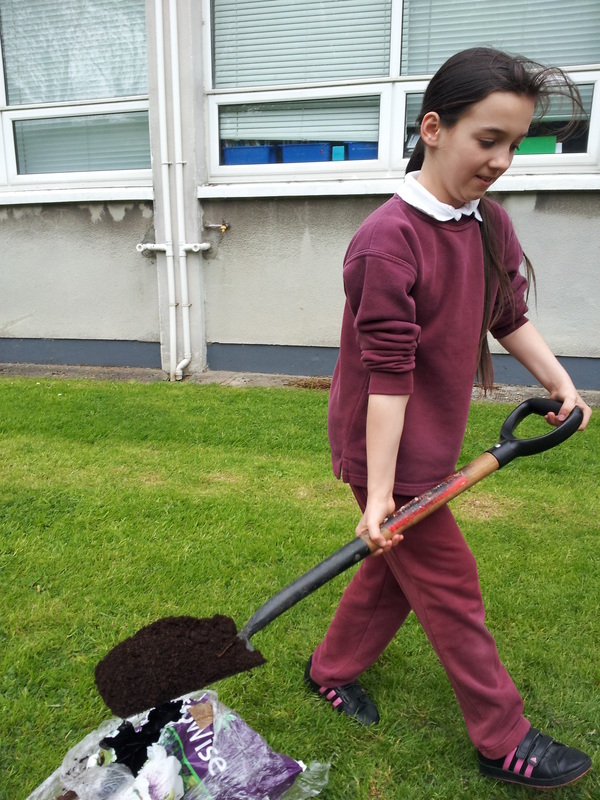 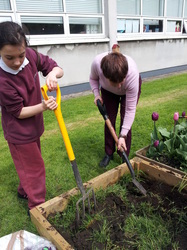 Especially we wish to thank the Green Schools Committee who worked so hard to organise the WOW day and who give their time to saving the planet all year round. To see further news and photos from this great event please click on the LATEST NEWS page. WOW ACTION DAY: THE PREQUEL, January 28th, 2015. It was a completely different story a week ago. 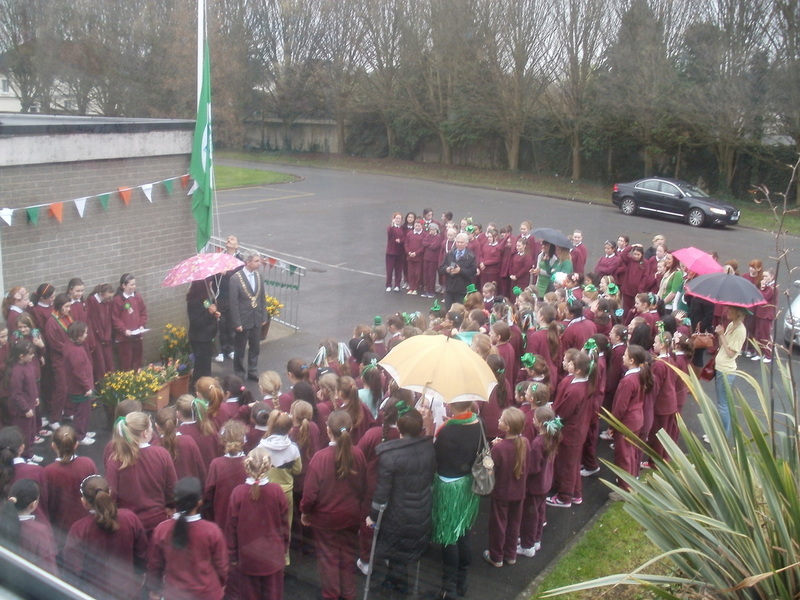 The wind had howled throughout the night and the sleet poured down,so a message was sent to all our parents postponing the eagerly awaited WOW Action Day for safety reasons. However, not all families received the text for various reasons, so the above brave pupils and Ms Ní Riain, the Green Schools Co-Ordinator,walked from the Old Shopping Centre to Our Lady of Victories School as originally planned,despite the horrible weather. 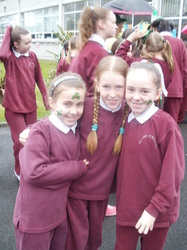 Two kind parents and two other pupils not in photo walked with us. 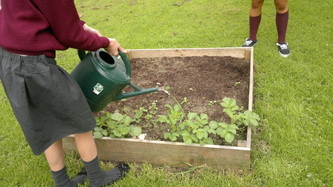 It took 22 minutes, with the wind blowing against us. 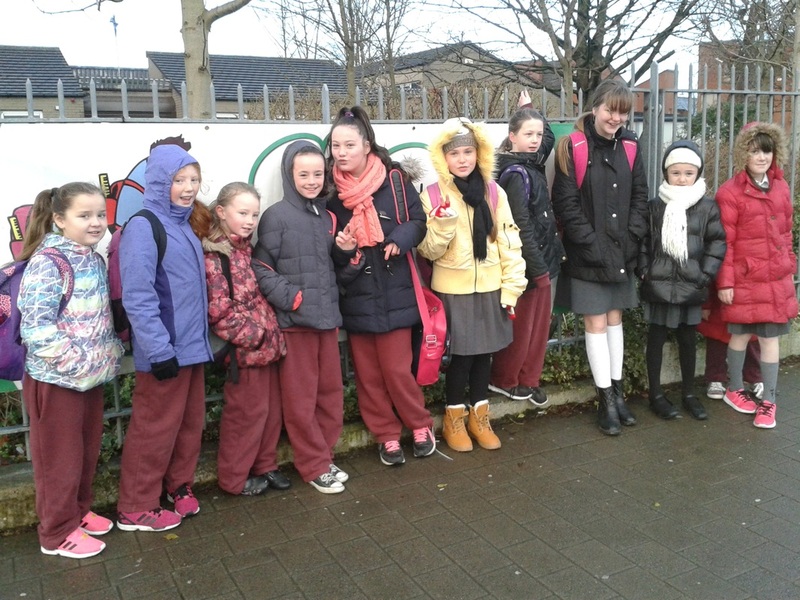 Some of these girls live a further kilometre or more past the Shopping Centre and they walked the whole way to school as they usually do despite the dreadful weather conditions. 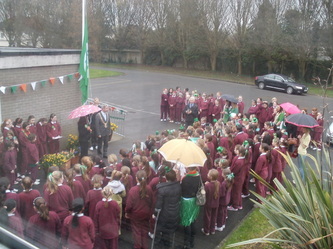 We really appreciate the great effort you made to come to school on Wednesday last. 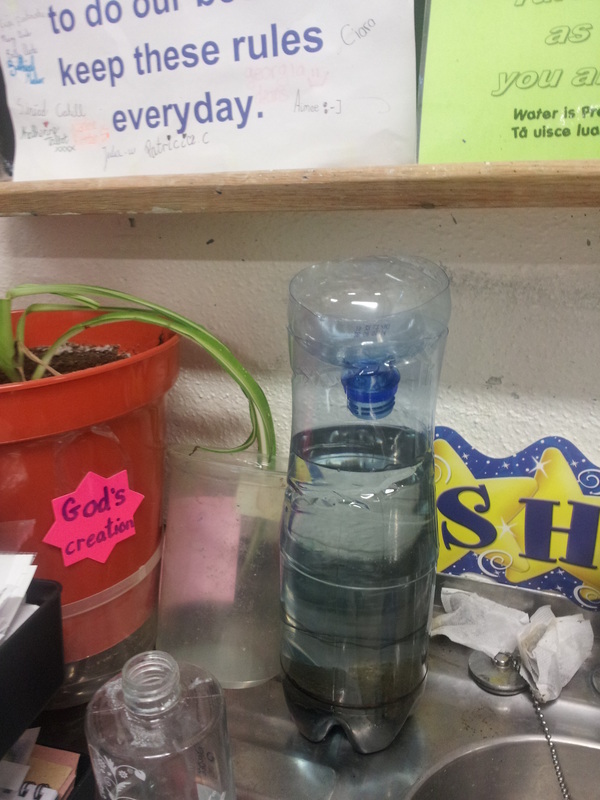 What shall we do to save the water? Our Lady of Victories G.N.S raises their 3rd Green Flag for water conservation. 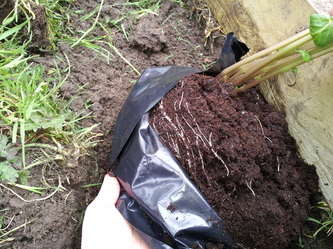 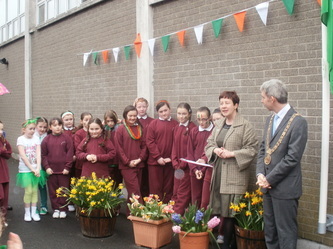 We held the raising ceremony of our 3rd Green flag on Friday 16th March. 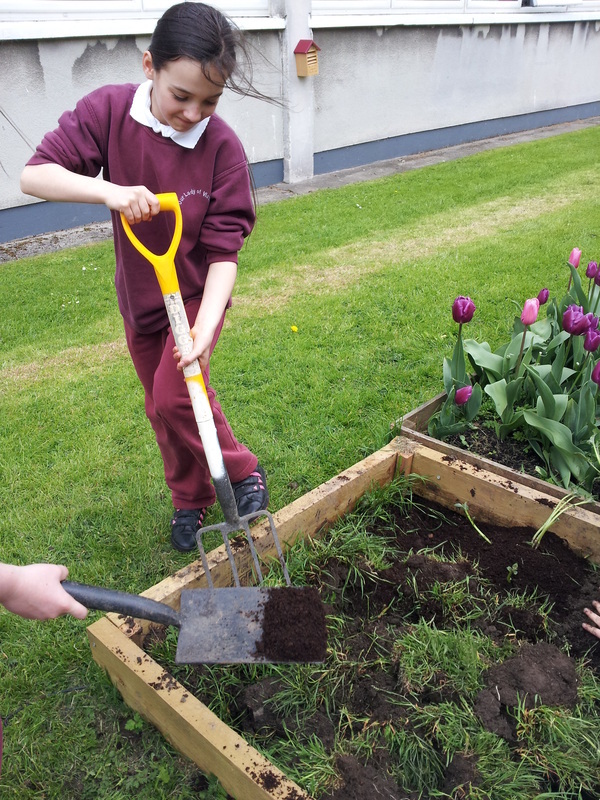 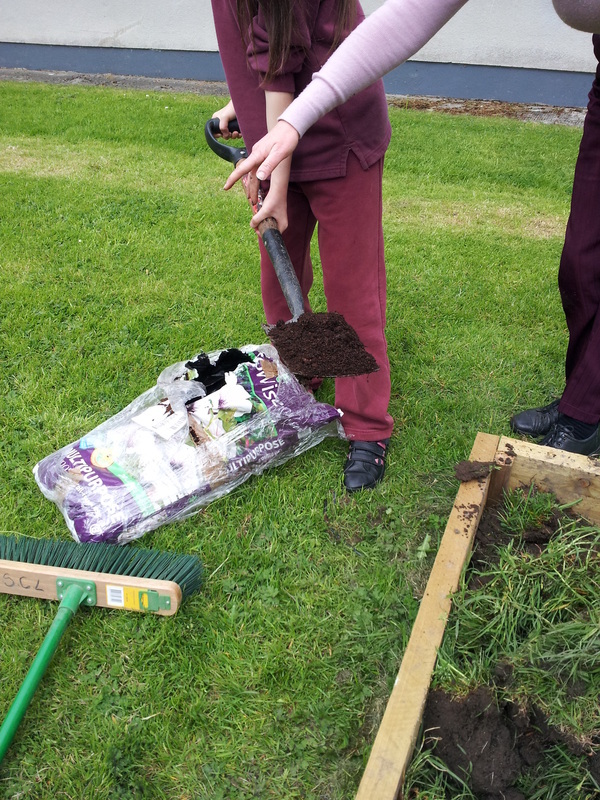 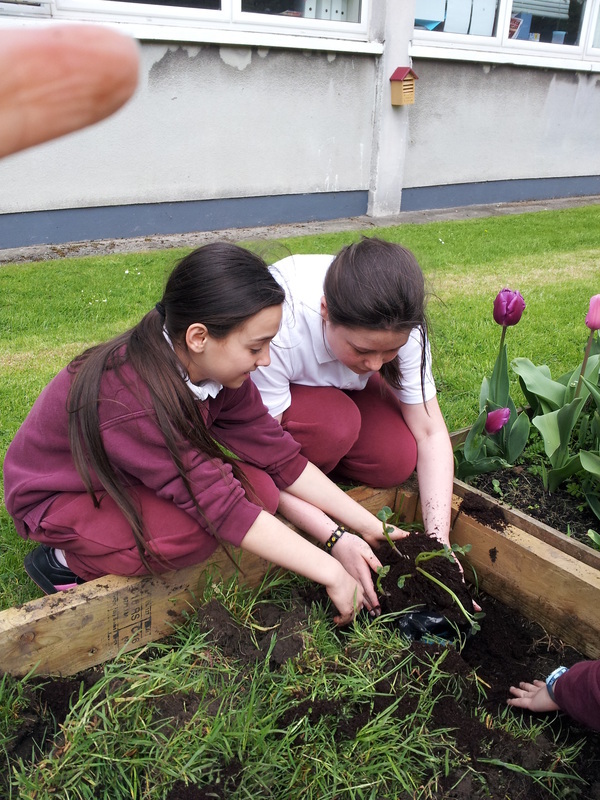 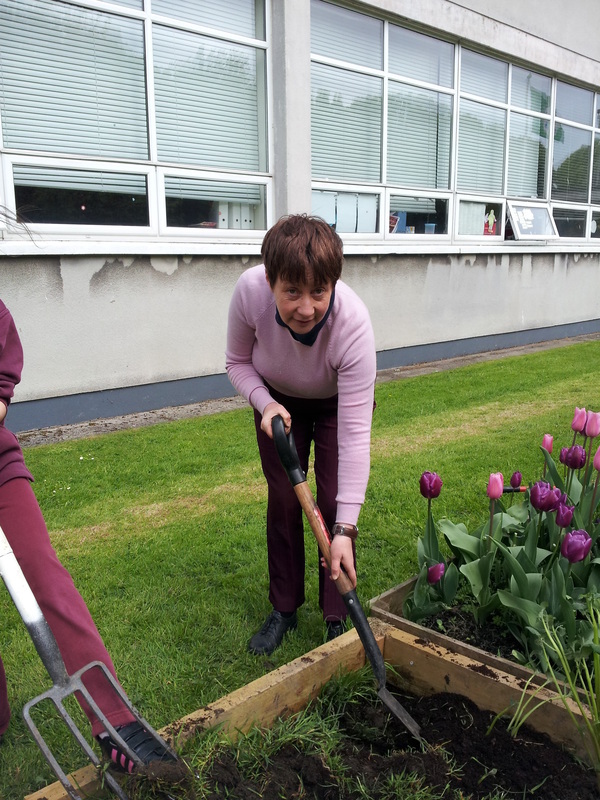 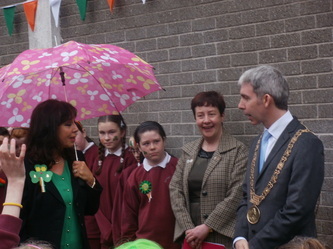 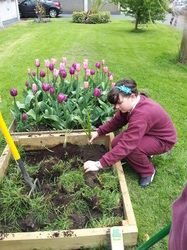 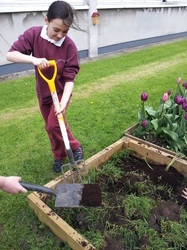 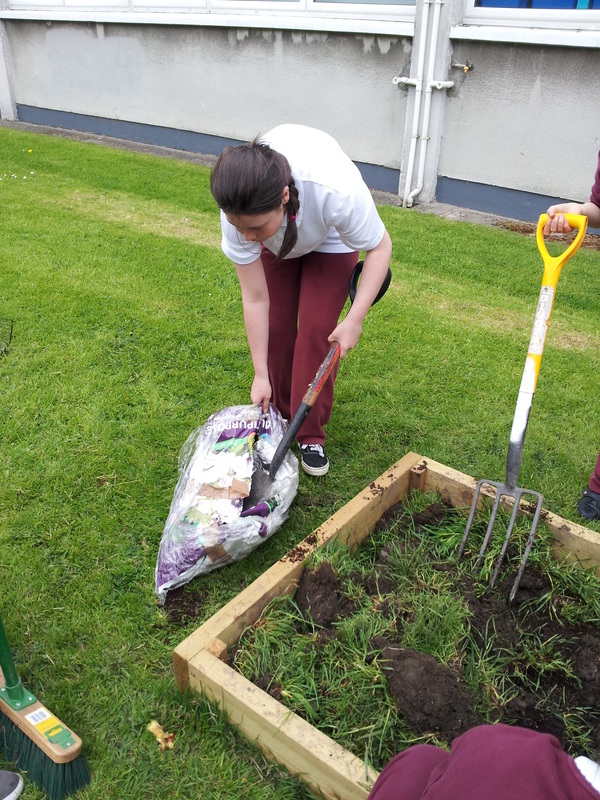 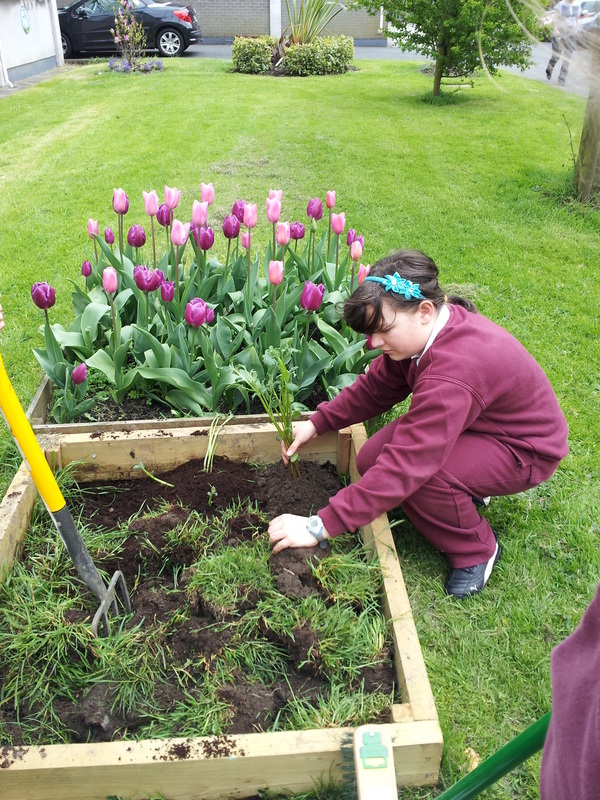 The wet weather didn't dampen our spirits as we celebrated the hard work of our Green-Schools co-ordinator Ms. Ní Riain, and of course the dedicated Green-School committee. 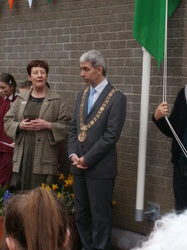 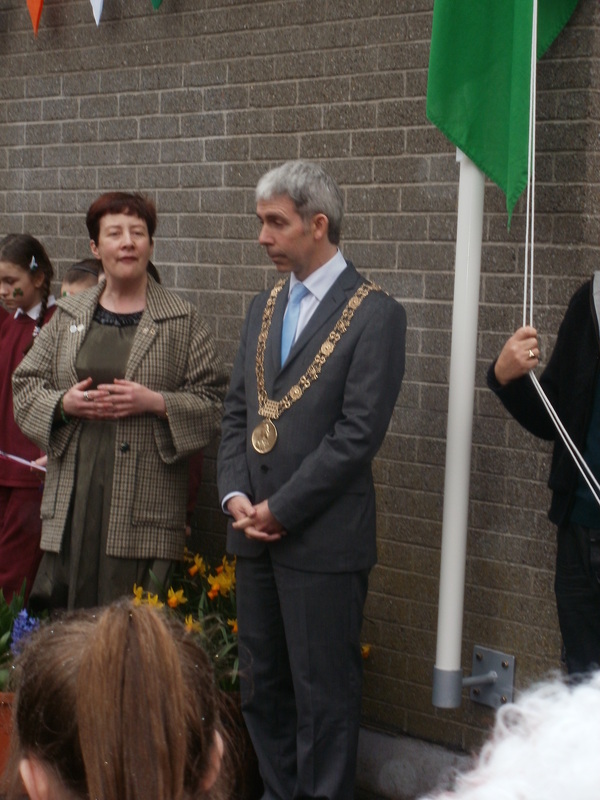 We were honoured to have Lord Mayor of Dublin, Andrew Montague raise our flag for us on the special day. 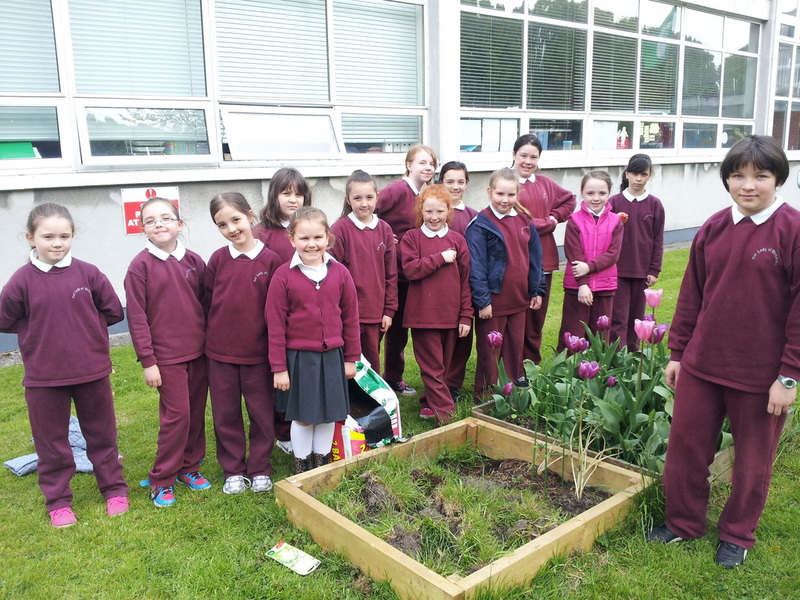 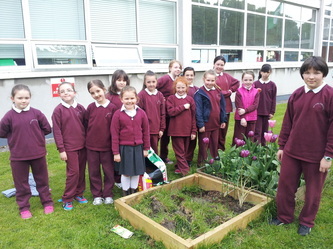 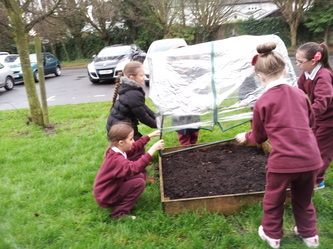 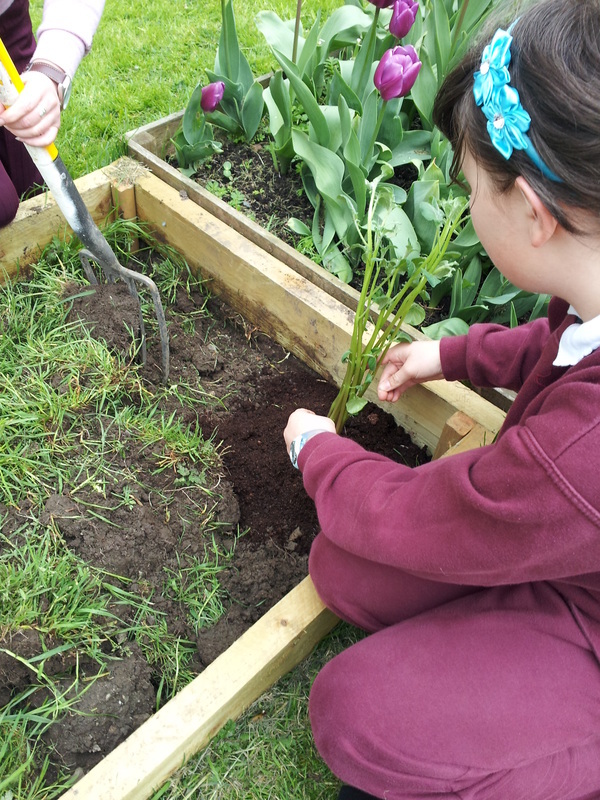 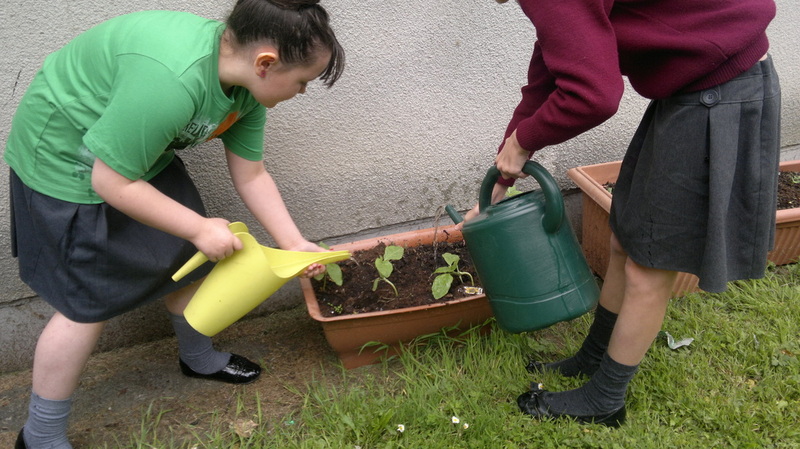 The Green School Committee have worked tirelessly throughout the year to keep the O.L.V. 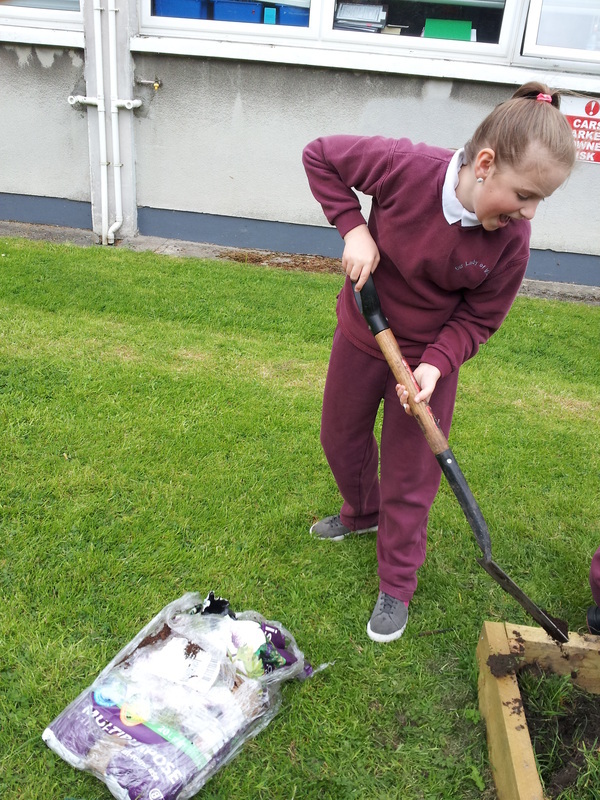 school grounds immaculate! 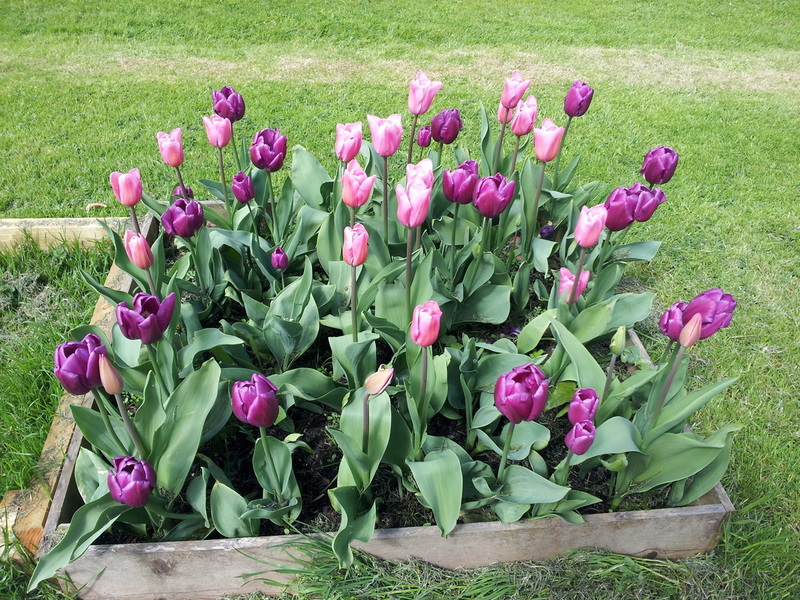 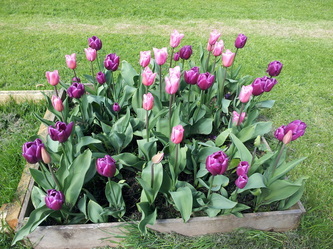 They planted tulips and vegetables of all kinds, I think we can all agree that the area looks wonderful! 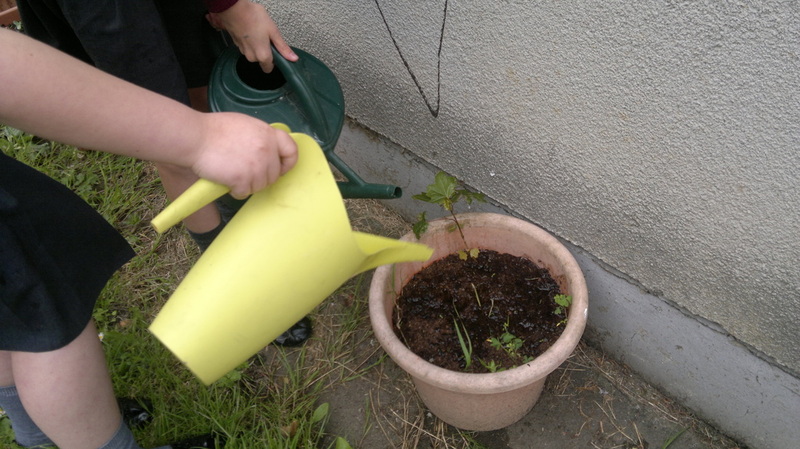 This song was written to inspire our pupils to look after the environment. 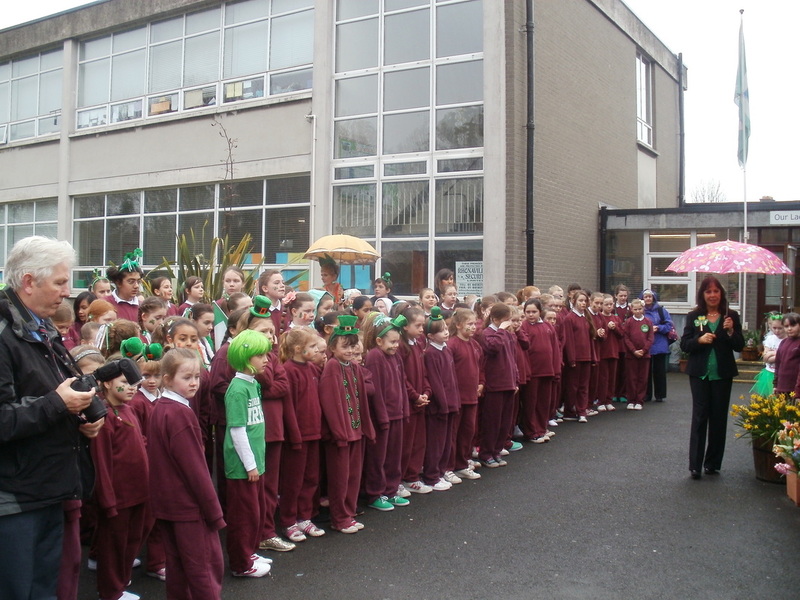 Megan did an amazing job performing it at our school assembly.